You may agree or not but WhatsApp has become one of the primary needs of our lives! Be it to ping a friend or video call with a friend living outside the country; we need WhatsApp badly. As it is the most used messaging application, we can connect with most of our friends and family members instantly through the app. Everyone loves its simplicity and reliability. But, you can underestimate its features because of its simplicity. Assuming it weak for lack of features than other messaging apps is wrong. 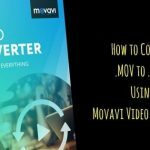 It is as powerful as other hundreds of apps available over the internet. The cool thing they do is by hiding some impressive features by distancing it via some extra taps. It makes them look such a simple tool for messaging in front of a new user. 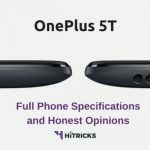 But at the same time, it is packed with many super-cool features. So, to reveal all those stunning features, we decided to make this WhatsApp Tricks post. Here, you can know and apply all those simple Tricks that you make you a PRO WhatsApp user. Here you go. We all know that we can send GIF images in our WhatsApp conversations. But, do you know that WhatsApp allows you create a GIF image within the app. The only way to create GIF here is to cut videos. You can send to any contacts and can store on the phone. So, here is the actual way to do it. Go to the chat where you want to send a GIF, be it a group or private conversation. Tap on the “Attach” icon. Pick Gallery and look for the video that you want to make GIF from. Select the video. Now, you will see the video editing screen. 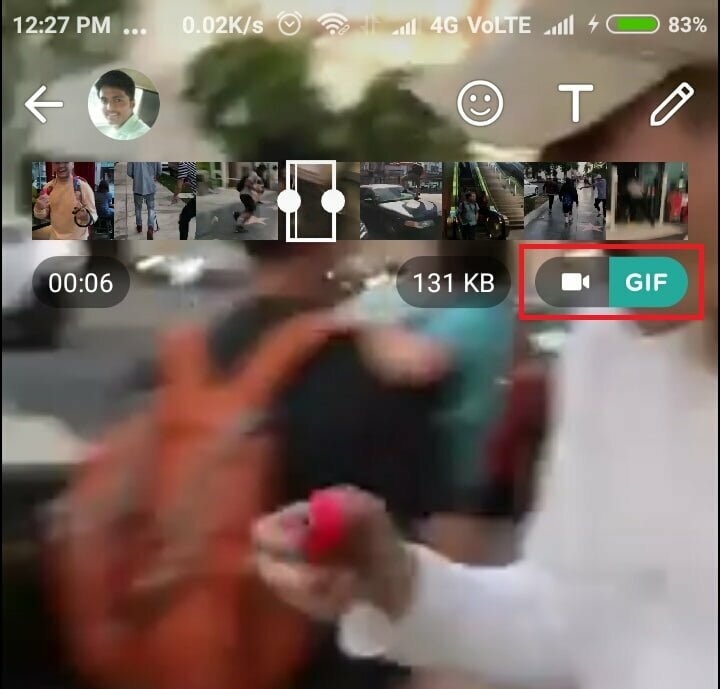 WhatsApp supports length only up to 6 seconds for Video to GIF. So, adjust to the particular 6 seconds for GIF. When you set the 6 seconds length, a GIF option will appear. Tap on it. The GIF is ready now. Send and enjoy! 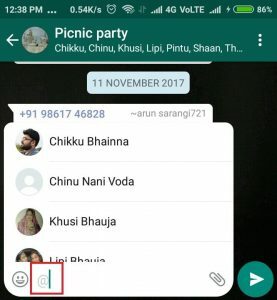 Don’t want to show your WhatsApp DP (profile picture) to everyone? Then, yes, you can do it. Suppose, you are added to some groups. There are some unknown people out there, and you don’t want to show your profile pic to them. Then, go to WhatsApp Settings > Account Privacy > Profile Photo. Choose whether you want to show to everyone, no one or only the contacts. That’s it. 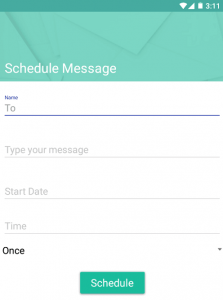 Have you ever thought of scheduling WhatsApp messages before reading through this article? Probably, the answer is NO. Even my answer could have been NO if I hadn’t used the WhatsApp Plus from GB Mods. Yes, you need to download WhatsApp Plus APK and install it. Open > Enter a mobile number > Verify it by OTP. On the next screen, tap on Menu icon > Schedule. Now, a screen will be there like in the below image. Choose the contact, type the message, date, time and how many times. Then, tap on “Schedule.” That’s it. The cool-looking blue ticks sometimes put us in trouble. Sometimes, we miss to reply someone even after reading them either knowingly or being busy or mistakenly. GFs and BFs especially :p need to hide those ticks. As many times a little delay in replying messages after seeing them causes BIG troubles. They know that we have read their messages but not responded. That’s why you need to hide those Blue Ticks. Here are the steps to do it. Open WhatsApp > Account > Privacy > Untick Read Receipts. That’s it. Now, no one will see those blue ticks in conversation with you. NOTE: If you disable that option, you will also won’t able to see blue ticks of others. There may be some 3-4 people or say one that you chat all the time on WhatsApp. I think have some 1 or two or more. So, to make the access to the chat more faster, you can get the shortcuts to the home screen. To do that on Android, go to Chats > Tap and Hold an Individual Chat > Menu > Add Chat Shortcut. Have you ever tried any WhatsApp Mods on your Android Device? 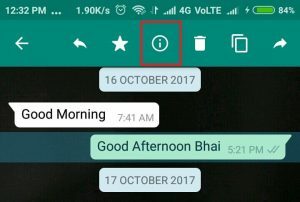 If you want to know when someone has read your WhatsApp message, then, you can do it quickly. To know that, go to the specific chat conversation, tap and hold the message. From the top options bar, tap on the “i” icon. On the next screen, you can see when the other person has seen your message. This is a next-level feature for chats in a group. There, you can see when and how many people have read your text. Did you know how to type and send bold, italic or strikethrough text in WhatsApp? Yes or No? Either answer, let’s do it. Bold: To send a Bold text, add an asterisk, i.e., “*” before and end of the book. For example, *HiTricks*. Italic: For italic, put an underscore, i.e., “_” before and after the text. For example, _HiTricks_. Strikethrough: To type strikethrough text, you need to add a tilde, i.e., ~ before and after the text. These days, we all use Dual SIM smartphones. Many of us want to use WhatsApp with both their numbers. So, they need to have two WhatsApp accounts. But, it usually is not possible to install WhatsApp app two times on a smartphone. So, here we bring the possible ways to run multiple WhatsApp accounts on a single phone. Get the latest Parallel Space app from Google Play Store from this link. Install and open the app > Tap on “+” icon. From the list of apps, select WhatsApp and Proceed. Instantly, it will create a WhatsApp Clone. Now, you need to open the clone WhatsApp and register with a new Mobile number. This method works on All the smartphones out there. Go to Mobile Settings > Find and tap on Dual Apps. Find WhatsApp and enable the dual app for WhatsApp. A clone of WhatsApp is ready instantly. Open it and register with the second mobile number. That’s it! Enjoy running Dual WhatsApp on your Xiaomi mobile. Tagging or mentioning a person is super easy on WhatsApp. If you’re sending a message in Group and that word is for a particular person(s), then you need to tag them to specify. Yes, tagging or mentioning will determine that this message is for them. To do that, you just need to be in the Group Chat and start typing “@.” Now, WhatsApp will show all list of the members. Start typing some letters of the person you want to tag and tap on him/here. Here is a screenshot of that. So, it is as simple as that. Sending someone a message which has already blocked you is not an official feature. This is a trick, or you can call it one of those WhatsApp Hacks! When someone blocks you on WhatsApp, you neither can see his/her DP nor send a message to them. But here is the solution. We have to engage a third person in this matter. The key here that the third person needs to create a group (you can try your another WhatsApp number or any friend. The group should be consists of the three people, i.e., 3rd person, YOU and the person who blocked you. Now, the 3rd person needs to EXIT the group leaving only YOU and the one who blocked you. That may sound funny, but it works. You TWO can talk there as there is no one else. So, go and try it. As we do most of the conversations over WhatsApp, it is essential to set the extra security level for the data. Stealing data and keep track of your WhatsApp activities can be done in by logging into the account on another device. But, if you will enable the Two-step verification, then you can do save from such privacy leaks. Because, when someone does log in, not only they will have to enter OTP but also the Six-digit code you set. So, follow these below steps to enable to that option. First, go to WhatsApp Settings > Tap on Account. Now, enter a 6-digit PIN, re-enter PIN and give an email address (for backup of the PIN). That’s it. You have successfully added an extra security for your WhatsApp account by enabling two-step verification. 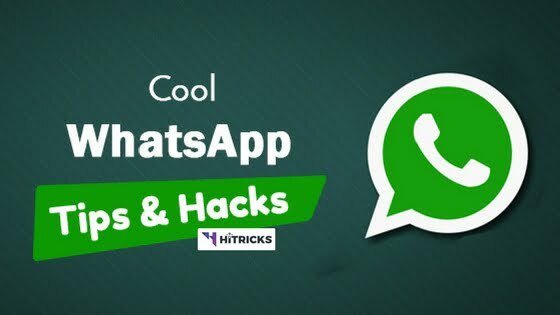 So, those are are TOP cool WhatsApp tricks that you can try now. Thanks for reading till now. Try them out and let me know in the comments section below how do you like it. If you have any other queries, you can jot them down below too. Also, don’t forget to share this Whatsapp tips article with your friends. Use the social share buttons below. That’s all for now. We will be back soon with another exciting update. Till then, stay tuned! Ganesh Mishra is a passionate bloggger at HackTricks. He has also been lucky to work with PromoCodeClub as a Content Manager. A man who enjoys doing Blogging and SEO stuff. "Love your work, yourself and your family" he says. Thanks for sharing this useful Guide with interesting Whatsapp tips and tricks….! !